*$1,500/$1,000/$750 stackable bonus cash available to be applied as a discount off MSRP on cash purchase, lease or financed purchase of in-stock new and unregistered 2019 Atlas / Tiguan / Golf (except GTI, e-Golf and R models), Golf SportWagen, Golf Alltrack and Jetta models. Dealer may sell or lease for less. Dealer order/trade may be necessary. Bonus cash offer valid from April 17 to 30, 2019 and is subject to change or cancellation without notice. Visit vwoffers.ca or your Volkswagen dealer for details. “Volkswagen” and the Volkswagen logo are registered trademarks of Volkswagen AG. © 2019 Volkswagen Canada. Every Certified Pre-owned Volkswagen has passed an exhaustive 112-point inspection. 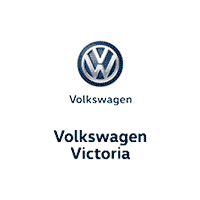 Located in Victoria, British Columbia, Volkswagen Victoria is here for all of your sales, service, parts and accessories needs. Whether you are looking for one of our newest models or an excellent pre-owned option – we’re here to help you find your dream car. With our ever-growing Volkswagen family, from the VW Golf to the Atlas, our selection of vehicles is built to accommodate your active lifestyle and adventurous spirit, even if it’s just a trip to the grocery store. Our team is here to help you choose the perfect vehicle that not only gets you from A to B, but lets you have fun while doing it. As part of our commitment to excellence, each vehicle is backed by our dedicated parts and service team. Ensuring that you’re happy with your newest investment is essential to our success because the value of a Volkswagen isn’t just reflected in its price – it’s in the long-lasting, dedicated relationship that comes with each vehicle. Now that’s something to smile about.